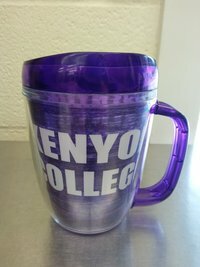 This Tritan mug/tumbler will keep your hot drinks hot and cold drinks cold. Tritan plastic is BPA free and shatter resistant. At about 5 inches tall, this high quality mug is perfect for kids and adults alike!